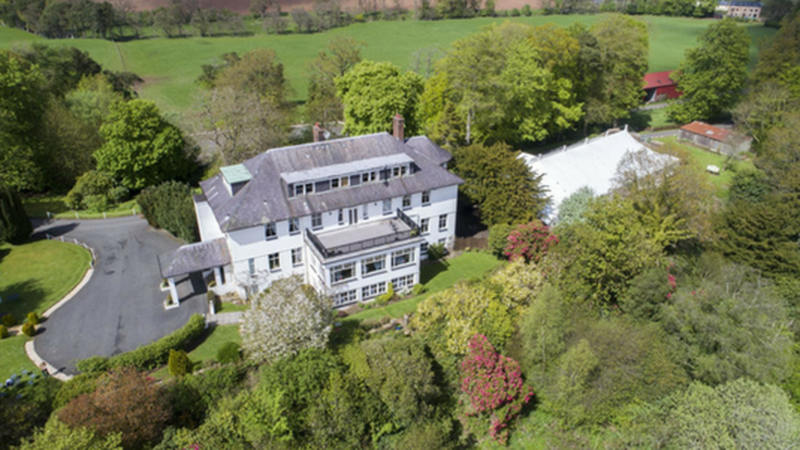 Enterkine House, a luxury 4-star country house hotel, overlooking the valley of the River Ayr, within Enterkine rural estate in Ayrshire, has been brought to the market jointly by Galbraith and Christie & Co. The thriving hotel business comes with 74 acres of land as part of the substantial Enterkine estate. A distinguished destination for fine dining, weddings, corporate events and luxury hotel breaks, Enterkine House offers high quality accommodation and superb views. The hotel is well known for its superior cuisine under Head Chef Paul Moffat, which has been recognised with two AA Rosette Awards. The hotel itself has won many accolades over the years and scooped five top places at the Scottish Hotel Awards 2018, including Country House Hotel of the Year, Fine Dining Hotel of the Year, Hotel Chef of the Year (Paul Moffat), Wedding Individual of the Year (Fiona Trousdale) and Food & Beverage Individual of the Year (Cameron Melville). The impressive country house hotel is set within attractive rural surroundings, including farmland and mature deciduous woodland and also a steading comprising agricultural buildings, a walled garden and ruined cottage, a deluxe marquee for events with its own bar, lounge and kitchen. There are also two residential properties on the estate. Kirk House and Steading, a substantial six-bedroom traditional farmhouse that is currently used as overspill accommodation for the hotel, with the potential to reinstate it as a separate dwelling. While The Lodge is a Victorian gate lodge with views over the adjacent countryside and a 2.5-acre area of land suitable for use as a pony paddock. The setting of Enterkine and its secluded, very appealing grounds are among the principal attributes of the property. The purchaser of Enterkine would find it relatively straightforward to continue the current well-established business, with scope for further diversification or expansion of the tourism and events facilities on the estate. The sale also offers an exciting opportunity for prospective property developers as plans have been produced for the development of the steading to provide six new houses, subject to permission. The sale of this beautiful estate offers a rare opportunity for business investors or property developers alike. Ayr has a mainline railway station with a regular service to Glasgow and beyond. Prestwick airport is within 8 miles away and Glasgow is also easily accessible by road via the M77 in around 45 minutes. Enterkine House is for sale as a whole with offers over 1.48m considered, or in eight separate lots.